15 million Christians of Pakistan have been deprived of their equal basic democratic rights as guaranteed in the Constitution of Pakistan since 1947, the independence of Pakistan from British Colonial rule in sub continent of India. The promises made by the Muslim leaders of All India Muslim League to Leaders of All India Christian Association to seek favours in the Pakistan Movement were totally neglected by the rulers in Pakistan. The commitments made by Founder of Pakistan and measures adopted in this regard in the Pakistan Resolution at Lahore in the annual general session of All India Muslim League in 1940 to safeguard the social, religious, cultural and political rights of minorities were also denied. The Christian leaders favourable votes in Round Table Conferences in London from 1930-1933 and Boundary Commission made possible the creation of Pakistan. But the hate among different religious communities was created by the government of Pakistan. 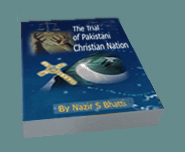 The Muslim policy makers forgot the positive role of Christians in formation of Pakistan. The touchability experienced by Muslim of sub continent by Hindus was now diverted towards Christians from Muslims of Pakistan. The attitude of hate in society was created in such a way that the Christians were unable to dine in public places owned by Muslims. The religion Christianity was taken as second class in Pakistan and Christians faced immense problems in education and employments. As the economic conditions of Muslims of Pakistan improved, they stated working on constitution to legislate such laws against Christians to make them second class citizens. In such circumstances when the Christian nation in Pakistan who were the son of the soil, not immigrant like Muslims majority who in different periods of history invaded India from middle east and Central Asia and settled. Again, after independence of Pakistan migrated from different parts of India in Pakistan. But after independence these Muslim immigrants declared themselves the owner of this land crushing sons of soil. The Muslims majority very slowly started to make Christians the second class citizens in Pakistan. 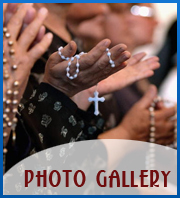 Therefore Pakistan Christian Congress decided to struggle for the equal basic democratic rights for the Christians of Pakistan.